Three University of Texas at San Antonio College of Sciences faculty members were recently honored at the 2014 Annual Meeting of the American Association for the Advancement of Science (AAAS) in Chicago. Each faculty member has made significant contributions to his field of research and continues to contribute to the world of science. 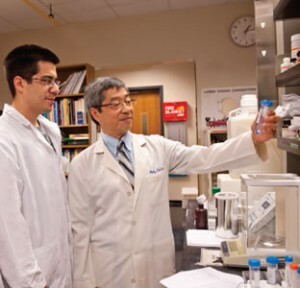 Biology professor Andrew Tsin is an internationally recognized biochemist, cell biologist, and leader in science education and training programs. His current appointment is director of the UTSA Center for Research and Training in Sciences, but he has served as a mentor for more than 130 students throughout over 30 years of professorship. Tsin has helped UTSA obtain $68.5 million of grants to establish training programs aimed at under-represented minorities. He received the 2011 Presidential Award for Excellence in Science, Engineering, and Mathematics Mentoring, as well as the 2013 AAAS Mentor Award for Lifetime Achievement. 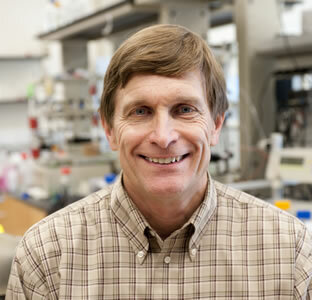 Biologist Garry Cole has been a part of the UTSA South Texas Center for Infectious Diseases since 2005 and serves as the Margaret Batts Tobin Endowed Research Chair in Medical Mycology. His curriculum vitae includes over 210 publications, three books, and more than 150 global presentations. His research in fungal diseases led to a better understanding of the pathobiology of coccidioidomycosis, which is commonly known as San Joaquin Valley fever. Valley fever is endemic to southwestern regions of the United States, but Cole’s research laboratory is seeking to prevent it by developing human and veterinary vaccines against Valley fever. At the AAAS conference, Cole was named an AAAS Fellow for his scientifically and socially distinguished efforts to advance science or its applications. Chemist Donald Kurtz was also named an AAAS Fellow at the meeting. He joined UTSA in 2006 and serves as the Lutcher Brown Professor in the Department of Chemistry. Throughout his 35-year career, Kurtz has authored over 215 publications and delivered more than 75 lectures internationally. His current research is in cancer therapy, where he is researching a novel approach to deliver toxic levels of iron to tumors. 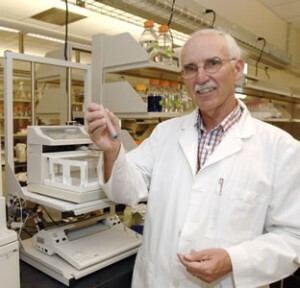 His creative chemistry and contributions to non-heme iron enzymes that reductively scavenge diatomic oxygen and nitrogen species qualified him to become an AAAS Fellow. AAAS is the largest general scientific society and publishes Science, Translational Medicine, and Science Signaling. It serves 10 million individuals in 261 affiliated societies and academies of sciences.